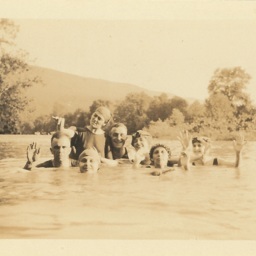 Photograph showing an unidentified group of men and women swimming in the Shenandoah River at Red Banks, just north of Mt. Jackson. 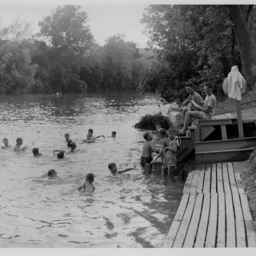 Photograph taken by William Hoyle Garber showing a group of boys swimming in the Shenandoah River at Camp Lupton just east of Woodstock. 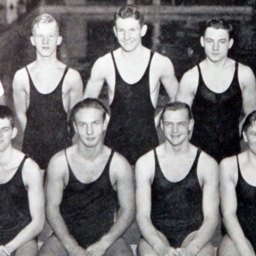 The camp site was owned and operated by Massanutten Military Academy during the mid and late 20th century. 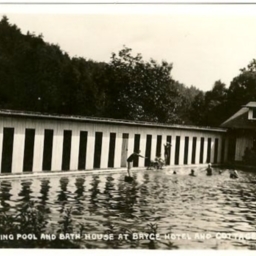 Postcard showing the swimming pool at Bryce Resort in Bayse Virginia. 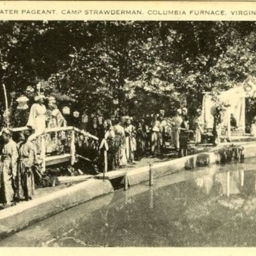 Postcard with a picture of the water pagent at Camp Strawderman which is an all girls camp located near Columbia Furnace in Shenandoah County Virginia. 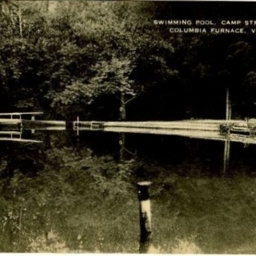 Postcard with an image of the swimming pool at Camp Strawderman which is an all girls camp located near Columbia Furnace in Shenandoah County Virginia. 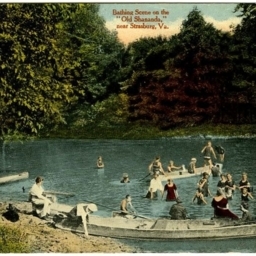 Bathing Scene on the "Old Shenandoah," near Strasburg, Va.